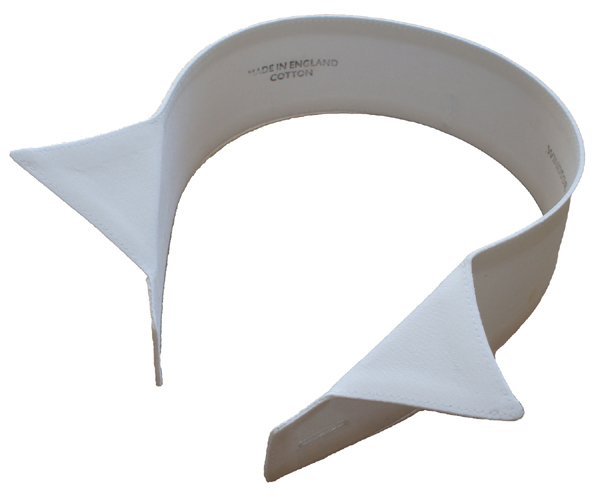 These stiff collars are made in England from fine starched cotton and are attached by collar studs to a tunic shirt (also referred to as a neckband shirt). When worn on formal, social occasions, they are worn with a bow tie, e.g. White tie and tails. The collars are wrapped in tissue paper and sold in boxes of x6, so they are ideal as a gift for someone or perhaps just to treat yourself!